1. Important Concept of Origin of Universe and Life. In Dasharna Chhatarpur (M.P.) pp 13-15 2011. Dubey, A.K. 4. Environment and Human Welfare. 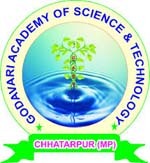 In Dasharna Chhatarpur (M.P.) pp 13 2012.Dubey A.K.